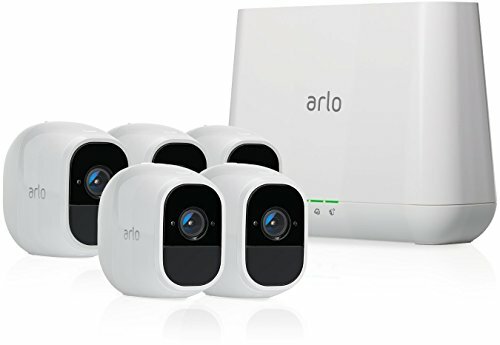 The best smart home security camera system has arrived – it is the Arlo Ultra - 4K Wire-Free Security Camera System(Buy on Amazon). 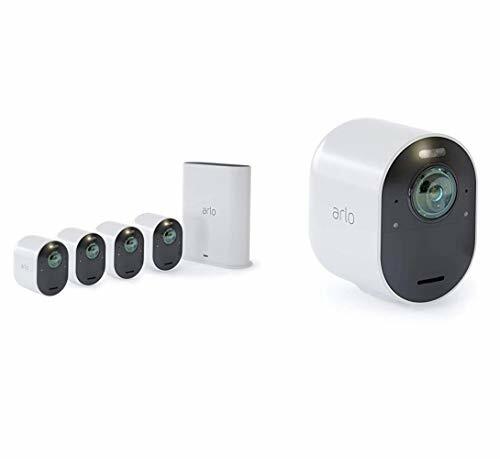 The Arlo Ultra camera adds even more features and convenience to what was already one of the best options available – the Arlo Pro camera line. We’re going to explain to you why the Arlo Ultra is the ultimate choice for smart home security. Here’s an overview of the products available. First of all, this is a wire-free security camera system. That means there are no power cords to be run – and that means the ultimate in flexibility for mounting these cameras – indoors or outdoors. Because the cameras are battery powered and communicate back to the base station via Wifi technology the install is always easy. And perhaps even better, these are weatherproof cameras – so use them indoors or outdoors. Ok, you might be thinking – these things must burn through batteries like crazy, right? And surprisingly – the answer is NO. How do they accomplish amazing battery life? First of all, the Arlo Ultra, like the Arlo Pro and Arlo Pro 2 cameras before it use high capacity, powerful Lithium Ion (Li-Ion) batteries. This is the same advanced technology that is in use in your smartphone or laptop. Lithium Ion can provide a lot of power. And perhaps even better – these are rechargeable batteries – they can be re-used for hundreds of recharging cycles. And lastly, this is a SMART security camera system. 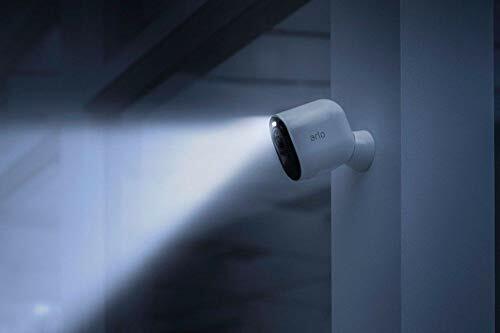 With motion detection built right into every camera unit, the Arlo system only records when motion is detected (Day or night, indoors or outdoors) and that means efficiency. Your cameras will not be recording when there is nothing to see! When you take into consideration all those factors, you will get WEEKS of use on a single battery charge – and then you can simply recharge the battery again. And, if all else fails, it is possible to hard wire these cameras to a power source (via USB cable and power module), or you can even connect these to a Solar Panel for a trickly charging capability. We’ve all seen grainy, black and white security camera footage. A lot of times, you can’t even tell what is happening – or who somebody is. And that is the other amazing feature of the Arlo line of cameras – these have amazing High Definition and image quality – day or night. 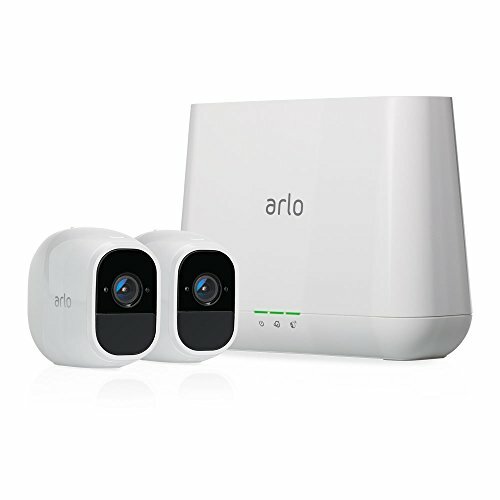 You probably know what the Arlo Pro line of cameras brought High Def (HD) capability to the line, but the Alro Ultra takes things even further – providing full 4K video (Also called UHD -for Ultra High Def). That means a beautiful, clear picture. There’s plenty of detail – and you can even ZOOM in on parts of the video – like license plate numbers, and more. 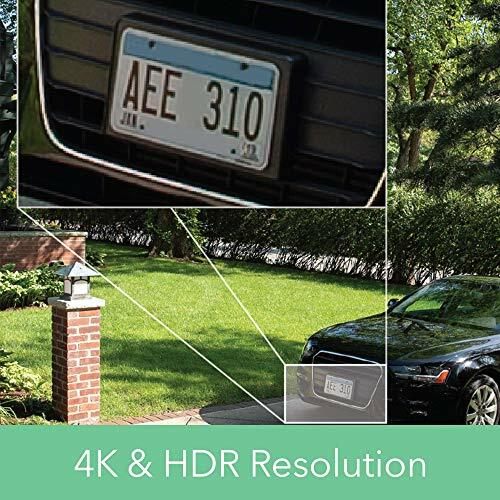 The Arlo Ultra cameras also do HDR – High Dynamic Range. That won’t be needed in all cases, but it does help fine tune the picture quality in certain situations. Ok – that’s great for the day time – but what about at night? The other really big new feature in the Arlo Ultra is the addition of a Security Light built right into the camera. 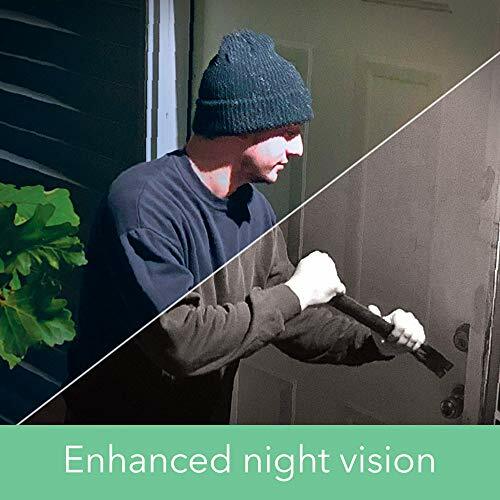 With motion detection activation a bright flood light comes on – and ensure you get a better picture of your subject. But, that’s also a great crime deterrent in and of itself. 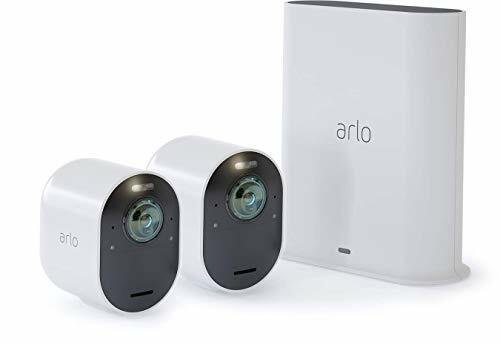 These new Arlo Ultra cameras have an amazing 180 degrees of coverage – which means you get more bang for the buck. By the way, that 180 degree view is done with a fisheye lens. But the image has none of the typical warping you see with such a device. 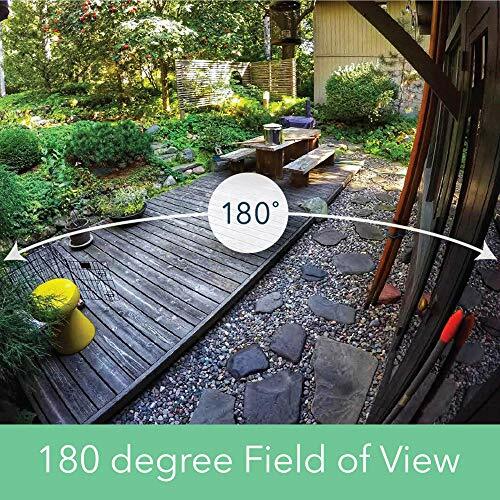 The Arlo Ultra system automatically de-warps the view – so it’s better to use. The Arlo Ultra can use auto-zoom and tracking. This means the camera intelligently adjusts to movement, focusing its frame on what matters. The Arlo Ultra has also improved on the audio capabilities of these cameras. There is a microphone and speaker in each of these. That means you can listen in on a situation – and you can speak over the mic to the person as well! The Arlo Ultra adds noice cancellation technology to the microphone – so that the audio quality is better than ever. It should be noted that while the microphone picks up sounds very nicely – the integrated speaker is quite small. So, it is not very powerful. But it will work in many close range situations. 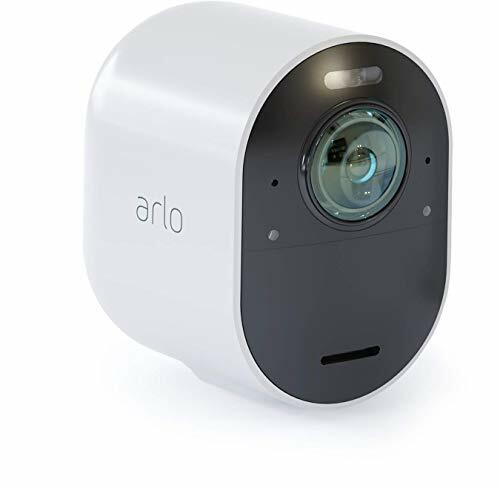 As we mentioned, much of the ease of use of the Arlo camera system is due to the wire-free, battery powered nature of the system. You will have to re-charge batteries every few weeks. 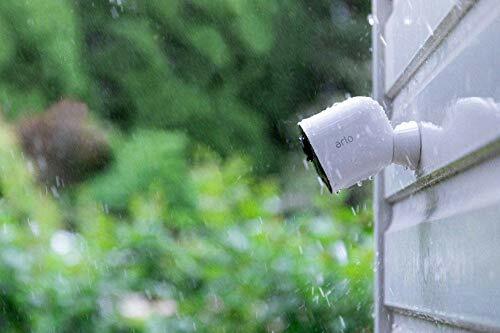 For the Arlo Ultra system, we recommend you use the (Buy on Amazon). This will let you fast charge two batteries at a time. It is also best practice to have a spare battery on hand. 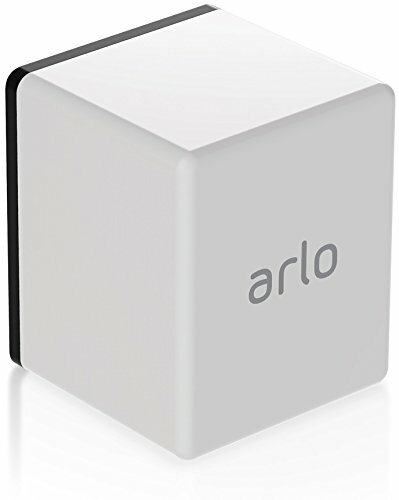 That way, when an Arlo Ultra battery runs low, you can quickly swap it out and minimize any gaps in video coverage. 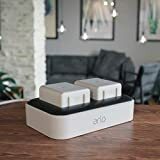 Arlo Ultra batteries are a proprietary, high capacity battery. 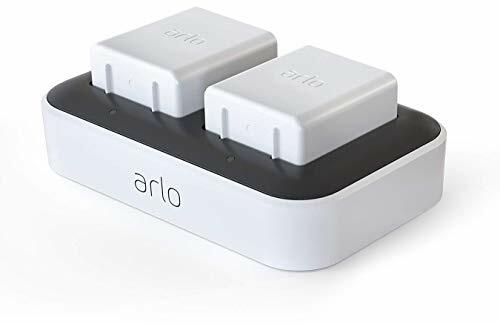 Therefore you must get the Arlo Ultra Rechargeable Battery (VMA5400) (Buy on Amazon) if you want a spare battery. Some people don’t like proprietary batteries – but remember – these last for hundreds of recharge cycles (because they are Li-Ion) and are the right form factor for the camera. It is also nice that there is only one battery per camera. 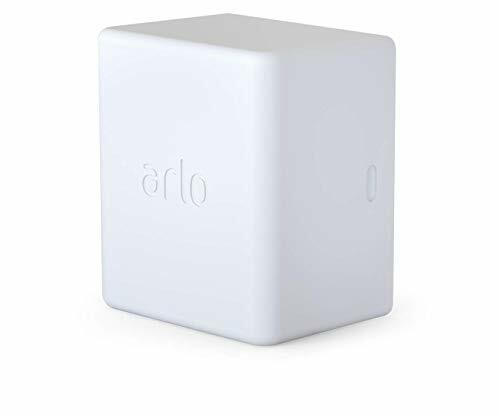 We mentioned earlier you can also “hard wire” an Arlo camera to power – via USB cable and wall outlet. But, what if your camera is outdoors and far away from an outlet? The Arlo Ultra Solar Panel (Buy on Amazon) might be the right choice. This solar panel lets you “trickle charge” the battery – so you can keep it topped off at all times. This is a great accessory for Arlo Ultra cameras mounted near the roof line, or in trees. 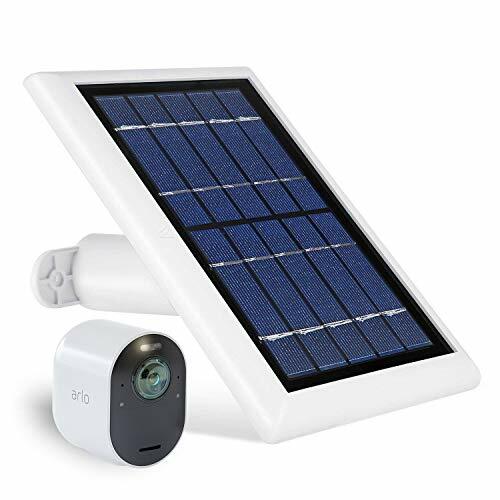 Please note that Solar Panel ONLY works with the Arlo Ultra – it will not work with the Arlo Pro, or Arlo Pro 2 camera line. We think the Arlo Ultra is the best home smart security camera system. It’s not just because it can take 4k HDR video. Netgear has built the most convenient system. It is easy to setup, and easy to physically install. It has long life – which ensures the cameras are working when you need them. We recommend the Arlo Ultra camera for any home owner that wants to greatly improve security and awareness of their home.